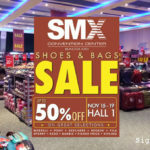 Hurry up to the SMX Convention Center and get some of the best deals in town for shoes, bags, and luggage. 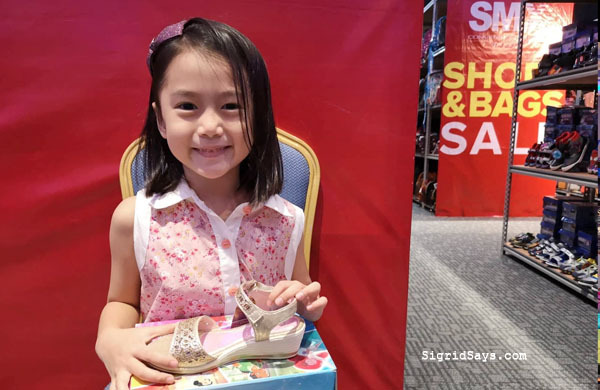 Premium footwear brands like Grendha, Ipanema, Zaxy, and Rider join the SMX Shoes and Bags Sale. 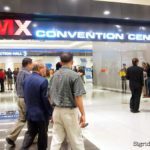 Happening from March 20 to 24, 2019 at the SMX Convention Center of SM City Bacolod. 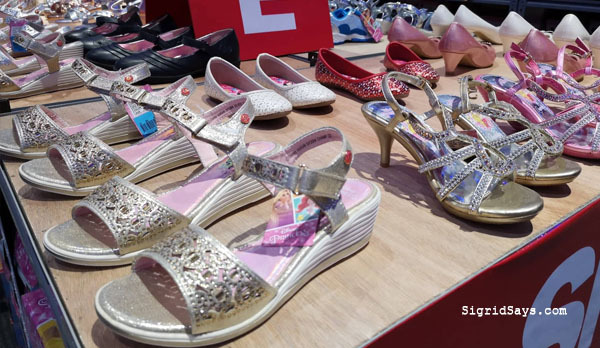 The SMX Shoes and Bags Sale (summer edition) is now ongoing at SMX Convention Center here in Bacolod City. 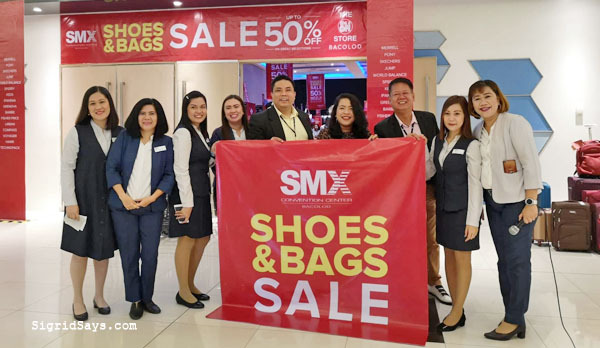 The SM Store executives during the opening of the SMX Shoes and Bags Sale summer edition. 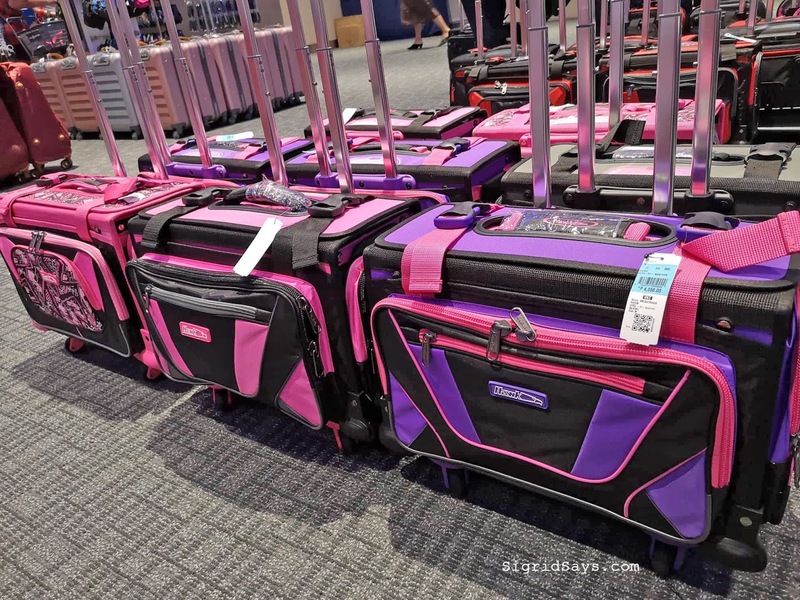 Once again, thousands of items are on sale, ranging from luggage, different kinds of bags, shoes, slippers, and other footwear related accessories. So many brands have joined to make this event possible. And since it’s summer, new brands that fit the tropical lifestyle have joined in the event. 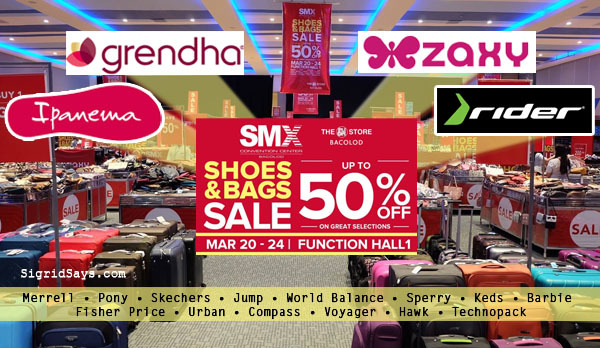 The SMX Shoes and Bags Sale now features Ipanema, Grendha (to our delight), Zaxy, and Rider. Yeah, we will find lots of cool, breezy, and colorful selections, especially in footwear. 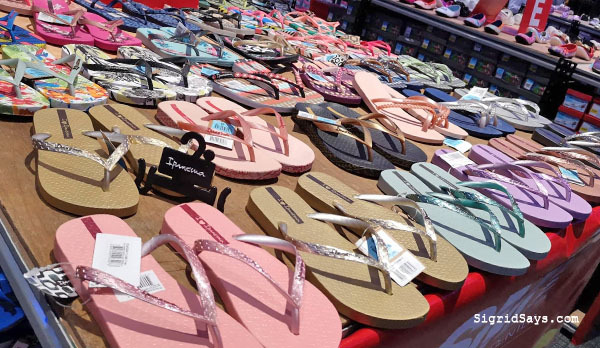 Hundreds of pairs of Ipanema fitflops from Brazil are on sale. 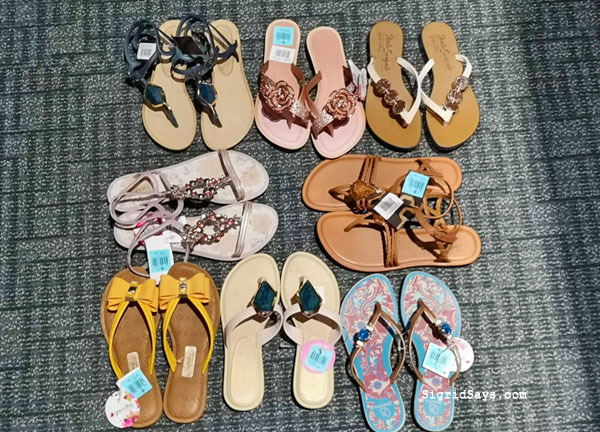 So you can find lots of fit flops, sandals, jelly shoes, and slip ons that are perfect for your summer OOTD. 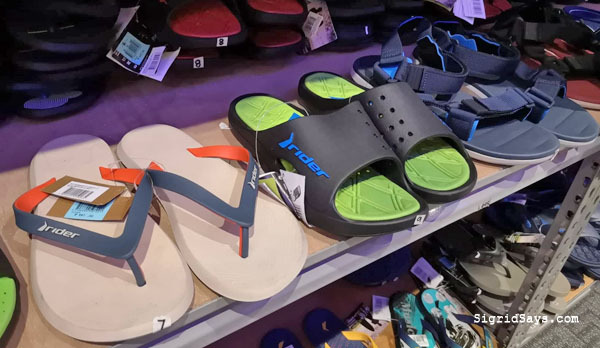 Rider sandals and flipflops for men. 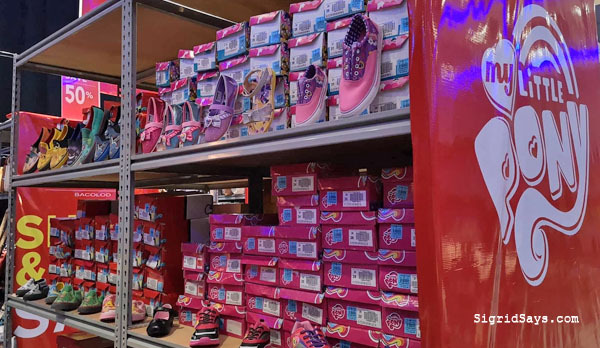 For kids, they have also introduced the My Little Pony line of shoes and sandals. It’s their first time to join this kind of event and they bring so much funk in the children’s collection. My Little Pony shoes for girls. And the best part is, they are all up to 50% off. We got a couple of Grendha footwear at 40% for my daughter and myself. Love them! Grendha is love. My eldest daughter and I had a pair each. Meanwhile, our youngest daughter Shane, who likes anything sparkly, loved the gold Disney princess heeled sandals. It was a steal at P295. Little Shane got this gold pair of sparkly Disney princess sandals. Her specifications were: sparkly and with heels. 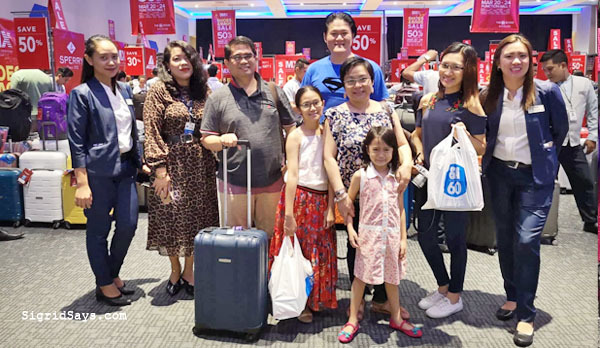 The SMX Shoes and Bags Sale is open from March 20 to 24, 2019, from 10am to 9pm. Admission is free. 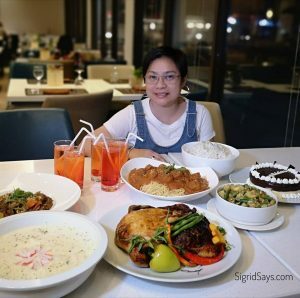 Credit card payments accepted. Bacolod bloggers with The SM Store executives during the opening.